Just like you won’t find a more historic city as Williamsburg, Virginia, you won’t find a better place to stay during your special vacation than Holiday Inn Club Vacations Williamsburg. When you purchase a timeshare resale at SellMyTimeshareNow.com, you’ll enjoy luxurious accommodations and amenities at up to 70% off the retail price, saving you thousands of dollars for a memorable vacation! You won’t find too many places with as rich of a history as Williamsburg. Part of the “Historic Triangle", the town played a crucial role in the American Revolution and the development of this country. So when you’re visiting Colonial Williamsburg, the town’s historic district and living-history museum, you’ll want to make sure that you stay at a resort that features high-quality amenities and low, low prices. 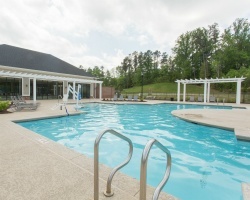 That’s why travelers choose a timeshare resale or rental at Holiday Inn Williamsburg Resort. Create memories with you and your family as you explore the area, interact with actors in period costumes, and explore the streets, stores, and workshops available to provide a little education to your vacation. You’ll save thousands of dollars off without having to compromise a thing at the Holiday Inn Club Vacations Williamsburg Resort. Each one- and two-bedroom villa features all the necessary amenities to make your stay as comfortable as possible. Enjoy a fully-equipped kitchen, your own washer/dryer, and a spacious living room for you and your loved ones to relax and warm up next to the cozy fireplace. The bedrooms feature soft lighting and great views of the Colonial Williamsburg architecture, while the bathrooms offer a whirlpool bathtub perfect for unwinding after a long day. Don’t wait! We’ve got inventory at the Holiday Inn Resort Williamsburg VA right now! Fill out the form on the right for more information or call our timeshare resale specialists at 1-877-815-4227 to get started planning your next dream vacation. Holiday Inn Williamsburg Resort timeshare resales and rentals offer vacation options that are both flexible and affordable. Each timeshare week is for-sale-by-owner; purchasing your property from the current owner will save you thousands of dollars off what the developer is asking for. There are no hidden fees; the price listed has been fairly evaluated against the current trends of the secondary market. Holiday Inn Williamsburg Resort timeshare resale owners have the ability to purchase timeshare weeks that will adhere to their flexibility preferences. Choose between a number of deeded fixed or floating weeks to decide which is right for you. Floating weeks owners may book their vacations in any season, including Red, Blue, and White. Holiday Inn Williamsburg Resort is affiliated with Holiday Inn Vacation Clubs, Orange Lake, and Interval International. 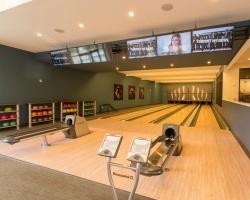 The Holiday Inn Club Vacations Williamsburg continues the great tradition of excellent accommodations and state-of-the-art amenities offered by its parent company, Holiday Inn Club Vacations (HICV). HICV is owned by InterContinental Hotels Group, the largest hotel group in the world. With HICV properties, you’re always guaranteed wonderful vacation opportunities and family-friendly accommodations to provide a care-free vacation experience for its guests. Learn more about our Holiday Inn Club timeshare resales, rentals, and how guests can make their HICV reservations. Featuring over 2,900 resorts in 80 countries worldwide, the possibilities are endless for Interval International members. 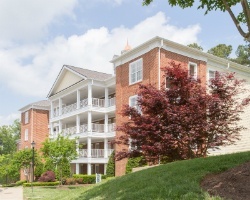 For an additional fee, Holiday Inn Williamsburg Resort owners can purchase a separate II membership, which will allow them access to the company's renowned timeshare exchange program—the second largest in the industry. Submit your timeshare week into the company’s exchange pool and you’ll have access to resorts in a number of desirable destinations around the world. Williamsburg Holiday Inn is an “Interval International Select" resort, allowing timeshare owners a certain level of trading power in the timeshare exchange program. The Newport Coast Marriott amenities are a large part of the reason why guests keep coming back. You don't have to travel far from your villa door to find the relaxation you're seeking from your California trip. The Catalina, Canyons, and Tide swimming pools provide the best way to take in the West Coast sun. You can even grab ice cold drinks and cocktails from La Vista Pool Bar & Grill to help you cool off. Additionally, no stay at the Newport Coast Villas is complete without stopping in to recharge at the Spa by the Sea with a facial or a massage. Not far from the resort's grounds, you'll find the area of Newport Beach to be charming and exciting all at the same time. Newport Bay houses the Balboa Island area of town, where you can stroll along signature Southern California piers, ride the ferris wheel at Balboa Fun Zone, or admire the luxury yachts that line the bay. The Pacific Coast highway allows for easy trips up to Los Angeles or down to San Diego, truly putting you in the heart of all Southern California has to offer. At the Holiday Inn Williamsburg Resort, conveniences are plentiful. The 24-hour front desk will be able to help you with all your needs, while the concierge services can provide excellent recommendations for dining, shopping, museums, and entertainment around the area. 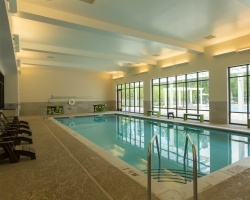 Williamsburg Holiday Inn features an indoor/outdoor pool, an arcade/game room, a cafe, fitness facilities, business center and much more. Don’t worry about having to go out for every meal; cook up some lunch for you and your family on any one of the barbecue grills offered on-site. Spend some time with the kids participating in on-site activities such as basketball, mini-golf, bowling, or you can let them run around on the playground. Pop in a movie for the kids in your suite, while the adults grab a couple of fine cocktails at the resort’s bar and lounge area. Peruse the snack bar/deli for a quick bite to eat, or run to the on-site grocery/convenience store for supplies needed to whip up a great dinner. It’s all here for your at the Holiday Inn Club Vacations Williamsburg; you’ll create great memories and always come back year-after-year wanting more! Already Own at Holiday Inn Club Vacations Williamsburg?